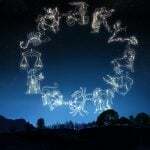 We all know that Zodiac is the great wheel of astrology that houses the 12 signs. But do you know how this wheel was arranged? It was divided into 12 zones of 30 degrees and each zone was named after an existing constellation: Aries, Taurus, Gemini, etc. In this article, we will talk about it and focus on the cardinal quadruplicities. Perhaps the most common division of astrology that everyone knows is the division by nature elements: fire, earth, air and water. Thus, we have the triplicities that consist of 4 groups of 3 signs. But, in addition to the identification by element, the geometric trace of the zodiacal wheel allows another division. Astrological quadruplicities (or qualities) are what we call the 3 groups of 4 signs after this split separation. In this way, instead of the element, the signs are divided according to their specific energy. And they always obey the cardinal order, fixed and mutable. We can begin to explain the cardinal quadruplicities just by saying that they carry the purest and most genuine factor of a sign. It means that is where the main characteristics of a sign will appear in a stronger and taxing way. An energy of opening your own path is born. Cardinal quadruplicities will always be the first. And, if you notice, they represent the beginning of a new season: Aries (Spring), Cancer (Summer), Libra (Fall) and Capricorn (Winter). This analogy allows us to understand that these signs are the initiators. Hard as it may be to imagine Capricorn as an initiator, this sign is rather capable of new adventures. Because here we are talking about a common factor that connects these 4 signs of different elements. The energy of these four signs is more active and focused on problem solving. Of course each in its own way. But usually these signs do not paralyze when finding obstacles and are capable of a greater understanding. The word of order of the cardinal quadruplicites is “action”. People born under a cardinal sign are ambitious and have a born entrepreneurial spirit. They can not stand still and always run after what they want. The instinct to make it happen surpasses any other. And it is not only under the Sun that someone obtains the qualities of the cardinal quadruplicities. In observing our natal chart, we can identify whether we have much or little cardinal energy with us. If we are born under a mutable sign, but we have other planets positioned in cardinal or fixed signs, things tend to become more balanced. Cardinal energy is a very beautiful energy and represents the beginning of everything. It gives us what it takes to start something and that is very welcome. For we all need an inner propulsion engine to achieve our goals. So if your natal chart shows cardinal signs in a considerable number, you can be happy. On the other hand, if the person has an excess of cardinal energy, it can be difficult to handle so much energy release. With this, they can easily become domineering and untimely. They also tend to be rushed who do not think much about their actions before taking them. Or else, they may even think but they end up manipulating or even overtaking others to do it the way they want.